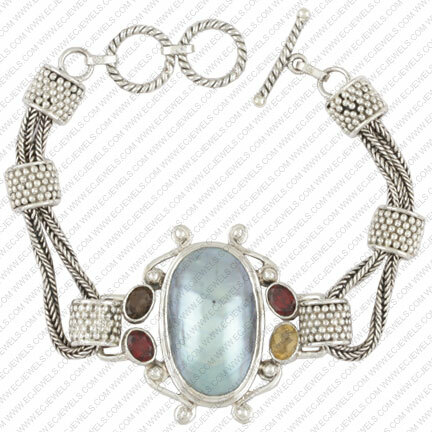 Wholesale Sterling Silver Jewelry, Gemstone Jewelry, Ring, Earring, Pendant, Bracelet, Indian Jewellery. 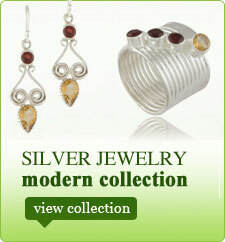 Description : A Designer Piece Of 925 Sterling Silver Jewelry Handcrafted By Indian Artisans. Bracelet With Mabe Pearl, Garnet, Citrine & Smokey Topaz Cabochon & Faceted Oval. It Measures Approx 7.5 Inch. Every article in our collection, we can provide with all type of Precious & Semi Precious Gemstones according to customer choice, irrespective of the picture shown. Also we can make this article in base metal with silver and gold micron plating.